French President Emmanuel Macron and German Chancellor Angela Merkel exchange the French-German friendship treaty during the signing ceremony, on January 22, 2019 in the town hall of Aachen, western Germany. France and Germany taking “one step” is welcome and needed, but it is crucial that they also take a step with the rest of the EU. On the 56th anniversary of the Élysée Treaty, France and Germany signed a new bilateral agreement: the Aachen Treaty. The Élysée Treaty, signed on 22 January 1963 by German Chancellor Konrad Adenauer and French President Charles de Gaulle, turned the long-standing rivalry between France and Germany into friendship. The two countries agreed to coordinate their positions on major foreign-policy issues, increase bilateral communication and strengthen relations. The treaty also served a foreign-policy purpose for de Gaulle: he aimed to strengthen his “aloof” policy towards the US and the UK. While it may be tempting to draw parallels with today, given the unstable transatlantic relationship and unclear future relations with the UK, I would refrain from doing so. The purpose of the Aachen Treaty is, instead, the EU. The Élysée Treaty became a motor for European integration, because that integration—or the lack of it—has today become highly dependent on the consensus between Germany and France. This was clearly demonstrated in 2018. The EU’s and president Macron’s ambitious European policies were put on hold for seven months while coalition talks dragged on in Berlin after Germany’s general election in 2017. Since then, chancellor Merkel and president Macron have actively tried to re-energise the Franco-German tandem through symbolic statements such as the Meseberg Declaration and joint ceremonies marking 100 years since the end of World War I. Signing the Aachen Treaty is seen as the next step in achieving a closer and energetic Franco-German relationship. Doubts have been already cast. Politico Europe asks how much the Aachen Treaty is about France and Germany working together and how much about the mutual affection between Macron and Merkel. If Merkel leaves the chancellorship, will the treaty remain as important? Leonid Bershidsky runs through a list of differences between France and Germany and asks if and how the two countries can overcome them. In the EU context, the question arises how Franco-German cooperation fits into the Union. In the course of 2018, European heads of state and government presented their visions about the future direction of the EU at the European Parliament in Strasbourg. This exercise revealed a spectrum of different directions the member states’ leaders see the EU heading. Some want more integration, others less. Some countries want the focus to be on repairing already existing European institutions and functions, whilst others want to focus on new emerging geopolitical and technological challenges. Some want both. The debates have provided a picture of varied and at times conflicting voices, which in recent years have shown they wish to be heard more. Consequently, like-minded countries are increasingly joining forces. Networks—formal and informal—feed into the everyday moving and shaking in Brussels. The Benelux countries have a long-established relationship, while the Visegrád 4 countries put great effort into cooperation to get their voice heard. As brought out in a recent report by the Estonian Foreign Policy Institute at ICDS, the Nordic-Baltic countries coordinate their work informally. In the light of the forthcoming European Parliament elections, new pan-European formats are emerging, like the one between Italy and Poland. While closer ties between Italy and Poland should be taken with a pinch of salt since the two countries are at opposite ends of the spectrum on a number of issues, the two share a sense that the EU treats some members states unfairly. For Italy, this is especially fresh in the aftermath of its budget negotiations. The European Commission refused to accept Italy’s proposed budget that foresaw a budget deficit of 2.4% of GDP. Meanwhile, France has been allowed to run a budget deficit of more than 3% of GDP and in 2019 is likely to run over once again due to president Macron’s response to the “yellow vests” protests. The Commission and Rome eventually agreed on an Italian deficit of 2.04% of GDP. 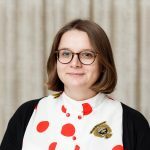 For Poland, the sense of unfairness in the EU is largely tied to the sense of being a “second-class” member of the EU, whether through prejudice and attitudes vis-à-vis Polish communities in the UK or France or over EU policies in which Polish views have been sidelined, as was the case in the summer of 2015 over refugees and migrants. The sense of unfairness has not left the Baltics untouched, either. In the forthcoming discussions on the Multiannual Financial Framework 2021–2027, the three Baltic states are fighting to get direct payments to farmers to be at roughly the same level in Estonia, Latvia and Lithuania as they are in other EU member states. Today, farmers in the Baltic states receive about 54–60% of the EU average. Let me be clear: this is not to undermine EU support for the Baltics or vice versa, but rather to illustrate the daily reality of the EU. The future of the EU is not threatened by its disintegration or collapse so much as member states’ disengagement—resulting in a Union that is ineffective and exists for the sake of it. By not being honest about the everyday realities of the EU, the risk of fuelling anti-EU forces cross Europe is increasing. A Franco-German axis that charges on without the rest of the Union is likely to feed into this dissonance. The more countries feel they are not included or are disregarded, the more other coalitions will take on the role of blocking the tandem. This in turn would block progress and the development of much-needed EU solutions to today’s policy challenges. Finally, let’s not underestimate the lack of direction in Germany and France, either. Both are paralysed on how to go forward. Germany is faced with a new and divided electorate domestically and is under increasing pressure from the US and China. It remains to be seen how long Germany can move forward through European integration alone, because solutions at the EU level are hard to come by these days. President Macron’s overambitious domestic and European policies are facing strong resistance within France and outside. It is unclear so far what trade-offs Macron is ready to make to gain support for his reforms domestically and, in Europe, to receive support from other member states. 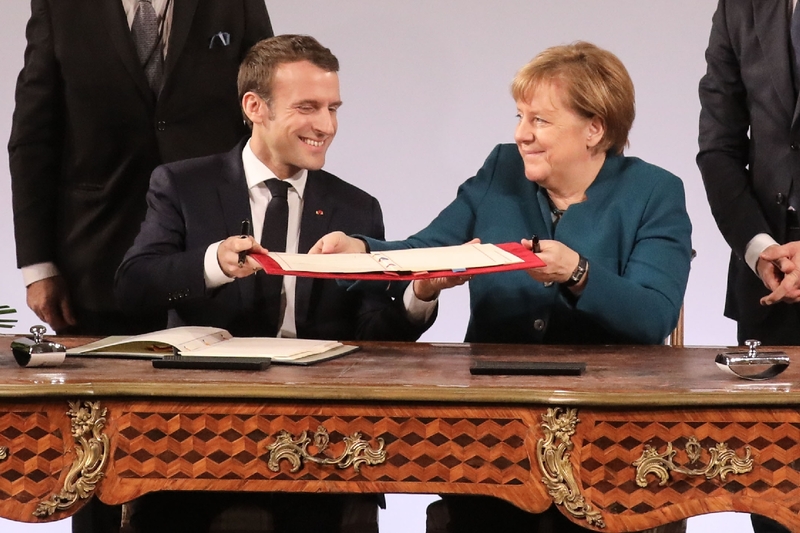 So, while a re-energised Franco-German leadership represents a positive step in the EU, it is important that France and Germany see the Aachen Treaty as a starting point for taking the EU further and not as an end itself. In the light of the European elections in May, it is vital to make the point that the EU of 2019 is different to the earlier version. It is a Union of 27 member states, not of a privileged few who are the biggest or founding members. This needs to be reflected in Franco-German common positions, in the work of the new European Commission, in the bargaining in the European Council and in the European Parliament. Time will tell what role the Aachen Treaty plays in the story of European integration: will it become a driver of European integration or the end of it?